Plant ornaments are often used to enhance the setting of tearoom and tea brewing area. 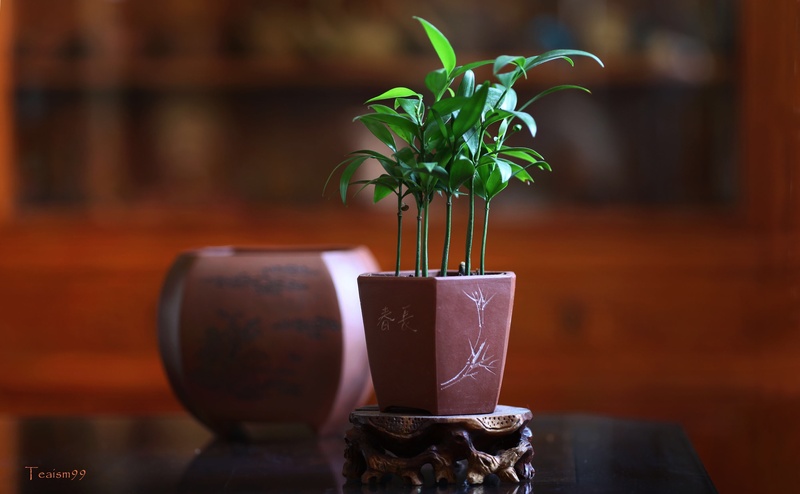 Many tea hobbyist enjoy planting small plants in small pots and use them them as ornaments to enhance the atmosphere of the tearoom. Having a good collection of these plant pots is quite common. Some of the pots are done by famous artist using Yixing purple clay. They can be very intricately detailed and finely carved. It is a joy to appreciate the beauty of these plant pots and certainly delightful to have a healthy plant growing in it. 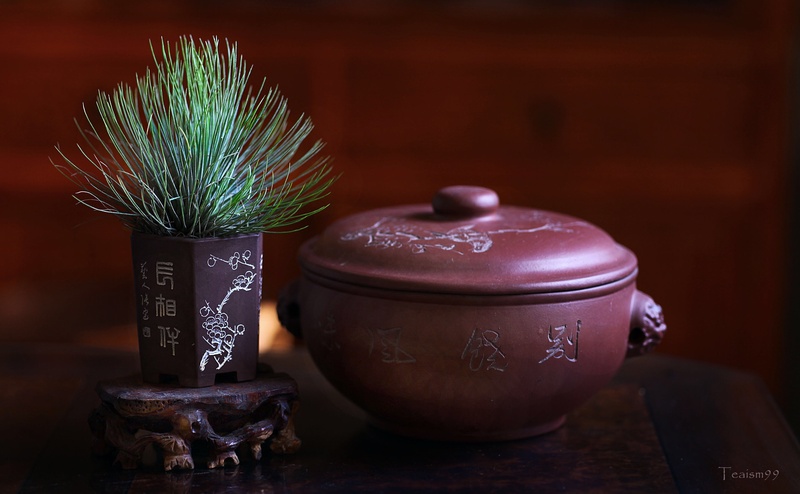 Plant cultivation is a nice and zen hobby that goes well in tandem with tea art and culture. The process of growing plant harmonise with nature and inculcate a sense of calmness and peace. 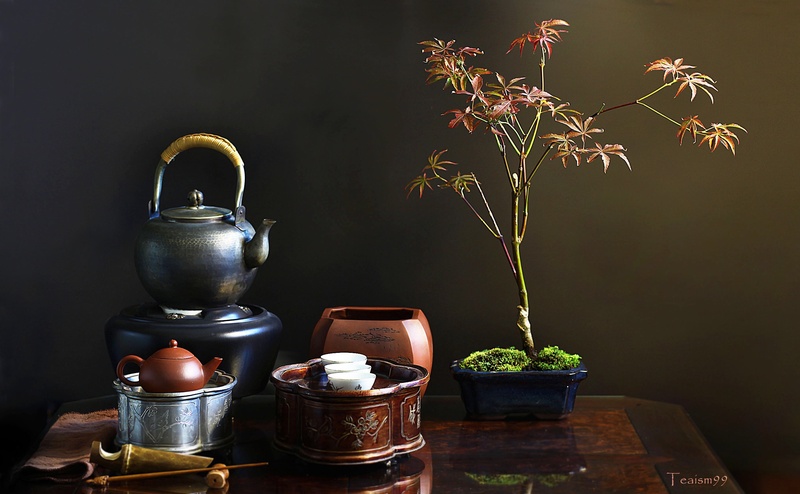 And bringing nature into the tea room certainly enhance the ambience and accentuate the tranquil mood of the tea ceremony. Plant ornaments are certainly nature’s art of peace and tranquility which harmonize with tea art and culture.